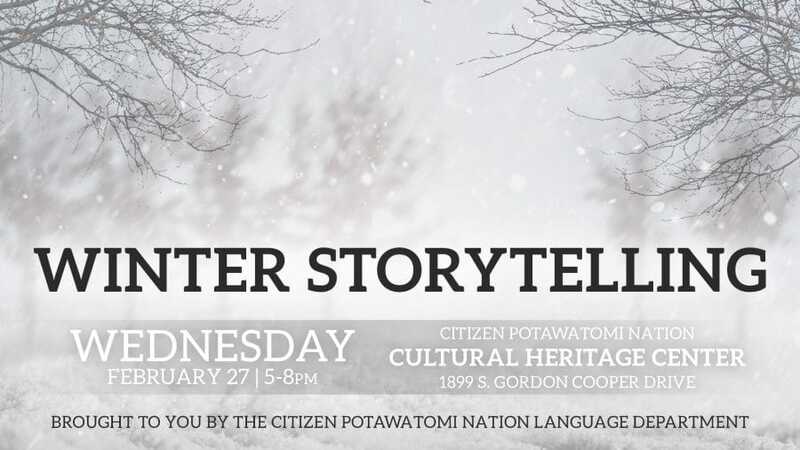 On Feb. 27, we will be hosting our annual winter storytelling event from 5 to 8 p.m. It is during this time of the year that the Potawatomi are traditionally able to tell certain stories, particularly those involving Wiske or Nanabozho, the trickster. This event is free, but I would appreciate an RSVP if you know you are coming so we can get a head count. Send them to me at jneely@potawatomi.org, or call the Language Department at 405-878-5830. Soon after this event, we should be announcing a new set of beginner and intermediate Potawatomi language classes. We will continue to offer the classes both on site at the Cultural Heritage Center and live on Facebook in the Potawatomi Language group page. We continue to have a number of resources available for learning the language. We have two different courses at memrise.com. We also have Beginner I, Beginner II and Intermediate courses online, all of which are self-paced and available at language.potawatomi.org. The development of our children’s series, Mtek wigwam, also continues. This show follows a group of friends and their different adventures, like searching for Big Foot. The puppets are each named for their name in Potawatomi. The language is introduced throughout the series. When we first introduce a word or phrase, we will say it several times in both Potawatomi and English. Then after the listener has heard it a few times, we only use it in Potawatomi. 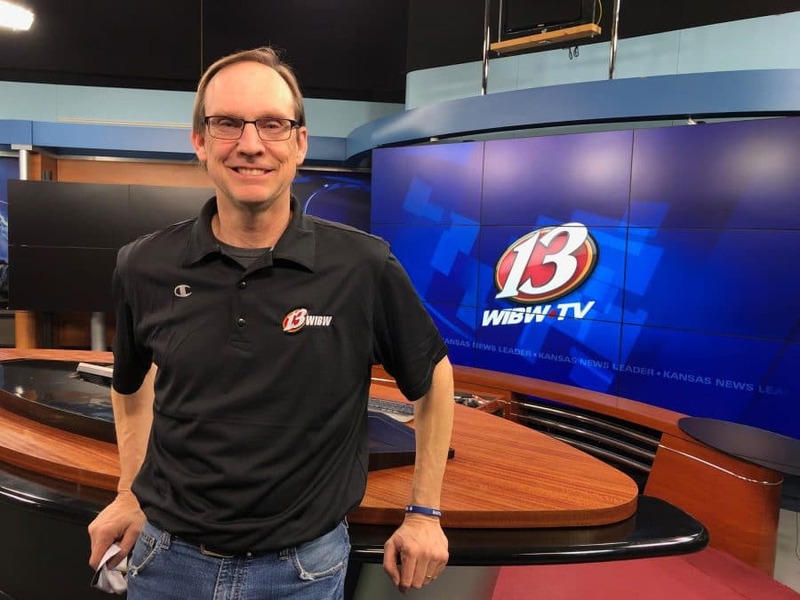 Our goal is for a child or adult who has never known Potawatomi to pick up enough so that after a few episodes, most of the show will be in Potawatomi. Eventually, it will all be in Potawatomi. We also have two YouTube channels, which you can find at cpn.news/JN and cpn.news/childrenyoutube. One is geared more toward adults and has about 64 videos. The other is geared toward children and has playlists broken down into things like stories, songs, learning videos and cultural teachings. It has around 117 videos. We are currently in the developmental stages of an online, searchable dictionary. We hope this new dictionary will be easy to use and compatible with both Mac and Windows computers. Another project that we hope to be done with soon is a transcription of Maurice Gailland’s 1868 Potawatomi dictionary. It is all handwritten in cursive and currently about 700 pages long. The goal of this project is to type it all out into a document that will then be searchable. Once complete, we will begin to analyze the material. Many of the English words require translations since they are no longer being used in today’s American dialect. Also, many of the Potawatomi words are older words, which require some analyzation. We hope to make it available at the first of the year. As it is the new year, make it your resolution to learn your language. Potawatomi has survived thousands of years against countless assaults. Make sure that it survives beyond our generation by taking the time this year to learn it. It’s definitely a doable thing. Often, we can be our harshest critics. Tell yourself you can do it, and start today. You will find many ready to help you along the way.